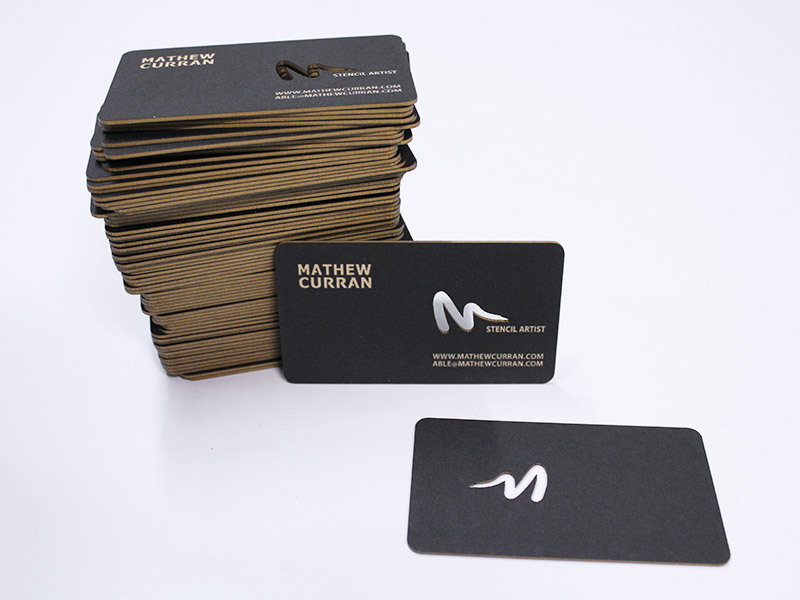 Mathew Curran Cards - Pure Black, Inc. 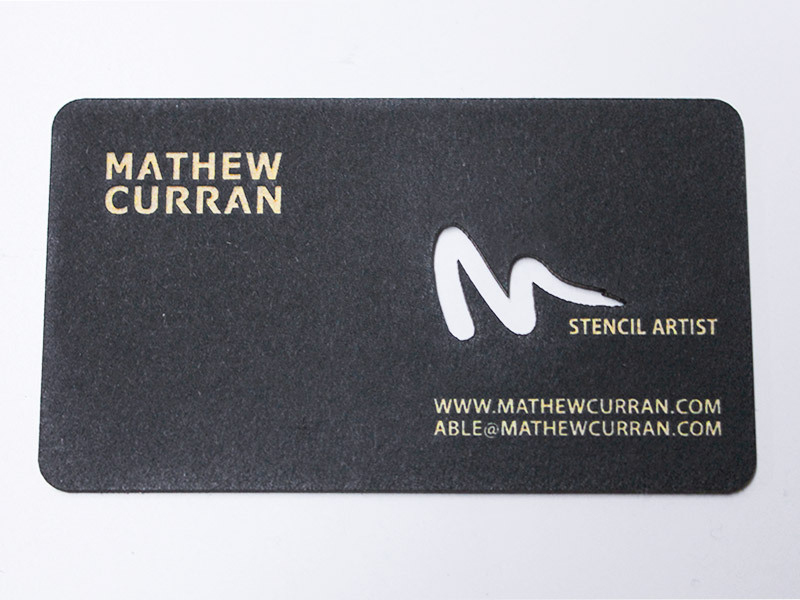 Simple and clean once again make for a memorable and beautiful business card, as shown here in these pics of the cards we made for our friend (and exceptional stencil artist) Mathew Curran. Laser engraved and cut on a custom made matboard.